We'd rather neglected K'Nex as a construction toy until just recently and this was a big mistake. Luckily we've discovered the error of our ways and are really having fun making cool stuff with sticks and connectors. 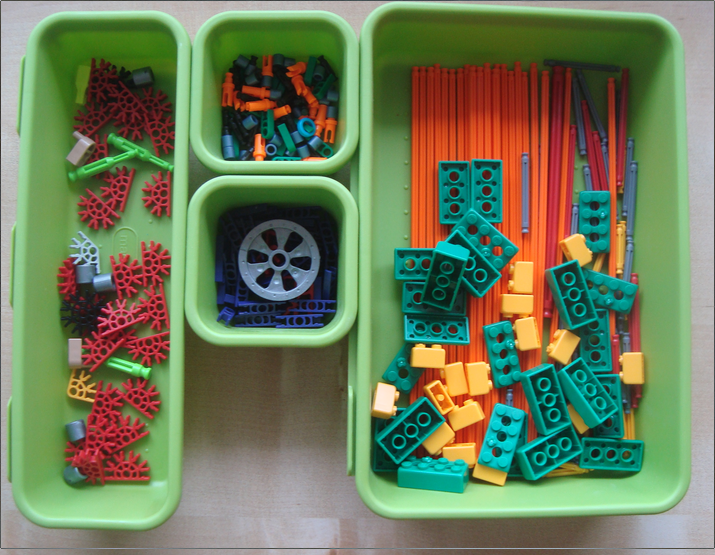 When my boys were little they loved the Kid K'Nex sets with animal parts and chunky pieces. Then my older son received a very cool dinosaur K'Nex set for his 5th birthday. He played with it a lot at first (with help to follow the instructions), but I was always worried about losing the pieces and not being able to make the models again so I kept packing it away. Several events recently got us back on the right track. Firstly we had a visit to a local science museum. My four year old and I spent about 45 minutes happily building things with the large collection of K'Nex they had set up at a play table. Then we had played with the KRE-O Star Trek LightTech sets which made us think that we really wanted sound as well as light. 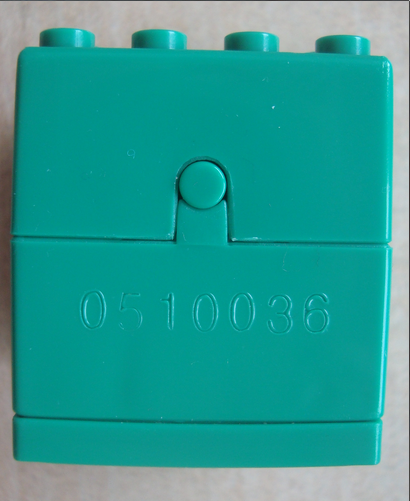 I remembered that the K'Nex dinosaur set included a sound brick - it's motion or button activated and very cool for making models that can roar. Then my son had a friend round to play who likes Super Mario so he asked me if you could get Super Mario LEGO. Well actually you can get Super Mario K'Nex sets. So that's a potential birthday gift for his friend. And then we tried out Goldie Blox which got the boys thinking about making machines. Out came the K'Nex dinosaur set. And I remembered that I had a K'Nex Ferris Wheel with a motor that I'd put away for a rainy day. And now we're having loads of fun with K'Nex and wondering why we hadn't been playing with it before. The boys are really enjoying being able to make quite big models quickly. And making models that do something. Now, after many LEGO sets have disintegrated into plastic rubble, I have somewhat got over my fear of losing pieces from a construction set. And if we lose a piece then we'll improvise! Designing your own models really is the point. This dinosaur started off as one of the models in the dinosaur set we have, but got adapted to be a cylops dinosaur because my son loves Greek mythology. My younger son has a birthday coming up and he has asked for some K'Nex so I've been looking at what sets are available. 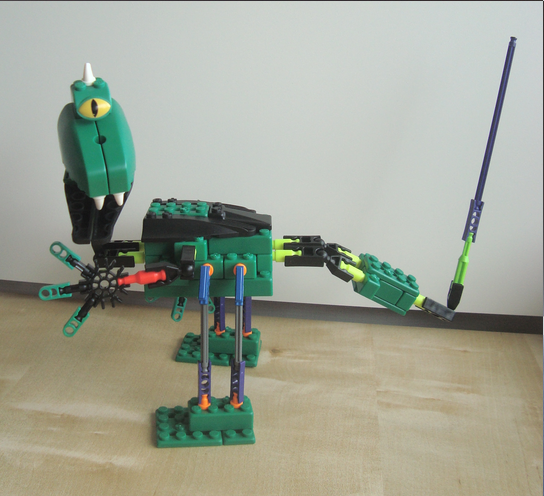 There's a new K'Nex dinosaur set with a motor which looks very cool to mix up with our older set. My kids aren't so interested in the vehicle sets unless there's some kind of fantasy theme behind them. K'Nex is great for learning about angles and shapes and for developing spatial awareness and dexterity. And there's a great range of K'Nex Machines Educations Sets which teach kids about things like gears, levers, pulleys, wheels and axels. I think we'd have a lot of fun with those so I might add one to the birthday list to give us some extra pieces and some educational activities to do. My older son made half of the motorized Ferris Wheel before school today while his brother played with the pieces he hadn't used yet. They plan to rush home from school to finish it. They are already planning what they will build next using the motor. I think they'll be playing with K'Nex a lot more from now on.